Hey guys, we come to you today totally bummed out. If you follow us on Instagram you may have realized that our account doesn't exist anymore or something looks fishy. 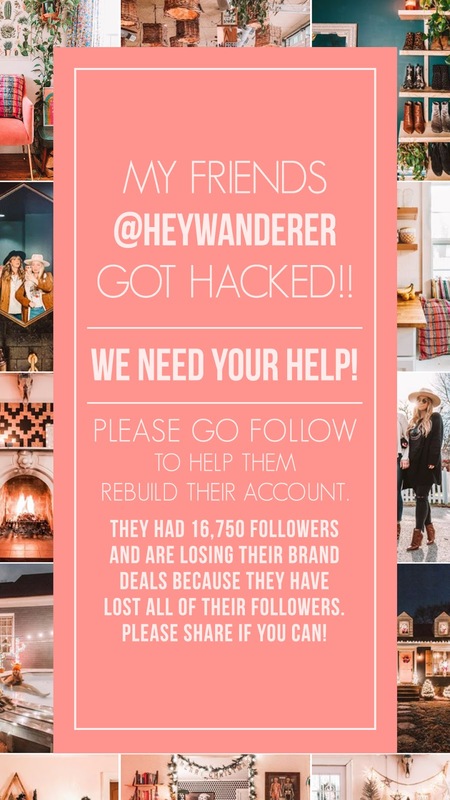 Or maybe you are a part of our email list and got the email and you know that our Instagram was hacked on Sunday, March 17th. We are going to share with you everything we know and exactly what happened, how you can help, and what you can do to make your account as secure as possible. On Sunday after church we got in the car and we were getting ready to head to lunch with friends. I had a notification from Instagram saying someone had tried to send us a DM. I'm not sure when this person sent this, but that caused me to try to log into our account. IG said that we had been logged out of our account. That has happened before, so that wasn't really a concern. I couldn't bother trying to sign in at that time, so I checked our email. I noticed we had to emails from Instagram saying someone had tried to login from another device. Then another email saying our IG email had been changed from our heywanderer email to some long crazy email that wasn't ours. That's when I knew we were in trouble. We immediately tried to log into our account and we couldn't. Then I went back to our email and realized we had an email from the hacker. The email is below. To be honest we were freaked out of course but not in total panic mode. All day Sunday we both felt too in shock and also fairly certain this would all get sorted out. We knew it sucked but we thought it would just be a matter of time before IG restored our account. Savannah immediately started researching on her phone what to do when your account gets hacked. Instagram has directions on exactly what to do, so that's what we did. We decided not to communicate with the hackers because we just didn't think any good could come from it. We weren't going to pay them a dime because we knew there would be no guarantee that they would restore the account. We decided to simply follow the proper channels with Instagram. People keep asking us what we're going to do about it and they are pointing to other people this happened to and suggesting that we see what that person did. Well, there really isn't anything special that anyone else is doing. There is only one way to get Instagram to restore your account and we've done that. Yes, it feels helpless and extremely frustrating but it is what is. We've done extensive research and there is no magic trick. Our only other option is hiring a hacker to restore our account. Apparently some people do that. We are not those people. Needless to say we have zero trust with hackers. So as mentioned above, it's just a waiting game. And really there is absolutely no guarantee that Instagram will restore our account. It could be gone forever. We are learning to make peace with that and doing what we can to build it back up. It took us 7 years to get to 16,700 Instagram followers, and we are praying that it won't take that long to get back there. We have lost 2 brand deals already and are at risk of losing several other brand deals if we can't get our account back to 16K followers. Brands pay content creators for the content they create and also their follower amount. So when we signed these brand deals, they signed on with us because they liked our content and our audience. The first thing you can do to help is to follow us on our Instagram here. The next thing you can do is to help is to share our content. You can share our story, our You Tube video, or any of our pictures. We have been overwhelmed with the response we have gotten so far. Our followers and influencer friends have been so amazing by sharing our account and sending encouraging messages. We created the image above that already contains all the information of the situation so you can easily post about it on your IG stories. Don't forget to actually tag us so it's clickable for your followers. 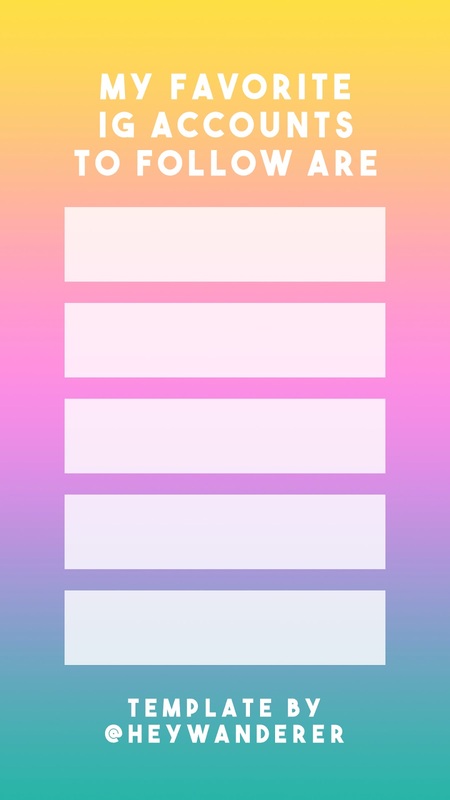 Another way you can help is to use our IG templates in your stories and tag us. This story will be particularly helpful to us because we can't remember who all we were following before! We were following around 500 people and we are back up to 100 now, so we are looking for people to follow. Share your favorites with us so we can check them out! We thought our Instagram account was secure. We had the 2 factor authentication on our account. If you aren't familiar with what that is, it means if you sign on to your account for the first time on a new device then IG will send a code to your phone and you have put that code in to be able to log in. Well that never happened for us this time. So I have no idea how the hackers bypassed that. There is a 3rd party app, Duo, that you can download and you can link to your account. 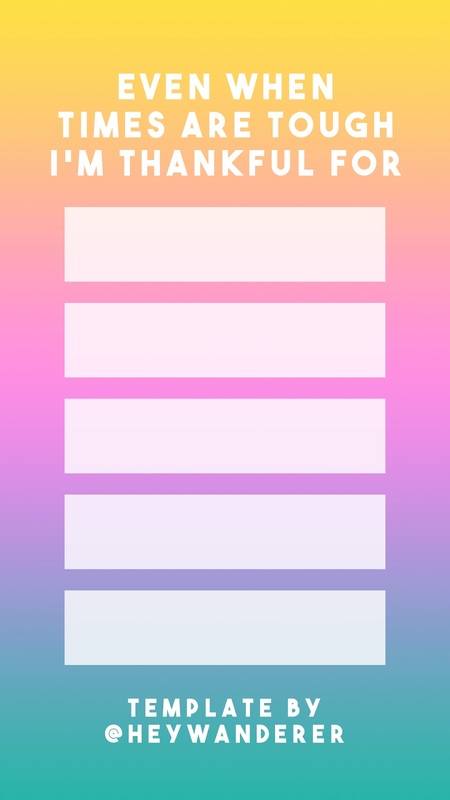 It also sends you a code that is required for you to sign into Instagram on a new device. That's it though. I would think that would make it more secure, but who knows. If the hackers could bypass the 2 factor authentication, could they bypass this other third party app? I'm sure it makes it harder, so it's certainly worth trying. Here's a video where we explain everything that happened and what we are thinking now. 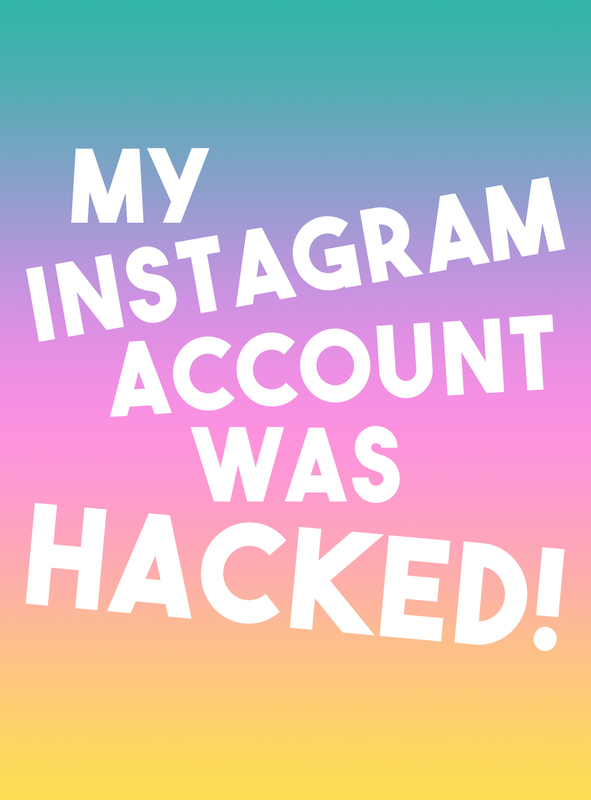 If your Instagram is hacked and you aren't a content creator or influencer, it's merely an intrusion and annoyance. If someone hacked my personal IG account, it would be no big deal. I probably wouldn't even bother with anything. But this is a major part of our livelihood. Not only has it already made us lose money, but it is preventing us from earning money in the future. As content creators, we have realized that too much is riding on the one platform that is Instagram. We need to be more diversified. Yes, we are seemingly diversified but the weight of the brand deals that we do hinge on Instagram. This has changed our perspective drastically. We don't want to be vulnerable in this way again. I don't know what this means for the future. We aren't going away from Instagram, but I don't know how exactly we'll use it in the future. For now we are focusing on the positive that has come out of this. We are still 13,000 followers away from where we were before, but you all have been so helpful is getting over 3,000 in just 4 days! You are truly amazing.